Just north of Los Angeles and south of Santa Barbara, Ventura County California is known for its beautiful destinations and scenic coastal views. Some of these places are so pristine that you may never want to leave! Here are the must-see views in Port Hueneme, Oxnard, Ventura, and Camarillo! Camarillo Oak Grove County Park features breathtaking hiking trails, an outdoor nature center, and even a dog park! Dogs are allowed to walk the trails but must be kept on a leash. Point Mugu State Park features more than 70 miles of hiking trails and five miles of ocean shoreline. The ocean view down California Street in Downtown Ventura. These cotton candy skies make Port Hueneme Beach a top location to watch a sunset. Featuring a sandy beach, coastal dunes, and wetland environments, Mandalay State Beach in Oxnard will give you a dose of all the palm trees you need. The iconic Pacific Coast Highway passes through Ventura County. It’s an incredibly scenic drive that shows off the beauty of California. 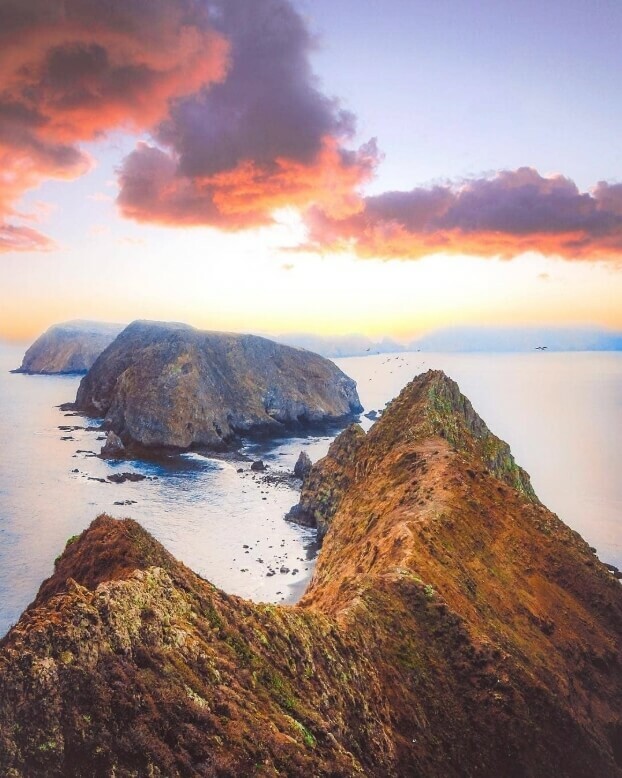 Anacapa Island, part of the Channel Islands National Park, is located off the coast of Port Hueneme and is the perfect place to spend the day, camp overnight, have a picnic, go for a hike, view the wildlife and flowers. Ventura Harbor and Ventura Harbor Village is home to many boats as well as the Island Packers headquarters. It’s easy to spend the day here with the whole family eating, sailing, kayaking, playing, shopping, and more! With so many beautiful sites to see, you’re going to want to stay a while. Click here for the complete list of hotels and other places to stay in Ventura County Coast!